Aluminum Inside Corner trim molding gives a professional finished look when installing our .063" (1/16") aluminum diamond plates on walls. 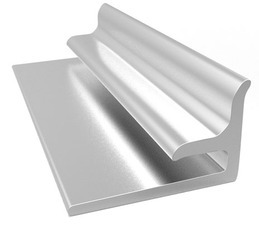 Stocked in a satin aluminum finish they are available in 4ft, 8ft and 12ft lengths and are easily cut on the spot for simple installation. For use with sheets up to 1/16" (.063") thick.